Former President Mahinda Rajapaksa today declared that he, along with his eldest son, Namal and brothers Gotabaya and Basil will be arrested. The former president cited the economic slump and lack of development as the main reasons why the government was trying to turn the attention of the public into other areas, and hence he was been targeted. “When the economy is falling and they can’t do anything, they try to get the attention elsewhere,” Rajapaksa added. Rajapaksa also said that he will not resign from the Sri Lanka Freedom Party, despite attempts by some within the party to throw him out. “The SLFP is in a strong position today because of me, if not it only had just 56 MPs. I will not resign from the party and it won’t be easy to put me out of the party,” he said. He also told the reporters if they needed their land dug up for free, to invite him over so that the police will come soon after to dig the land and search for so-called gold owned by him in these properties. 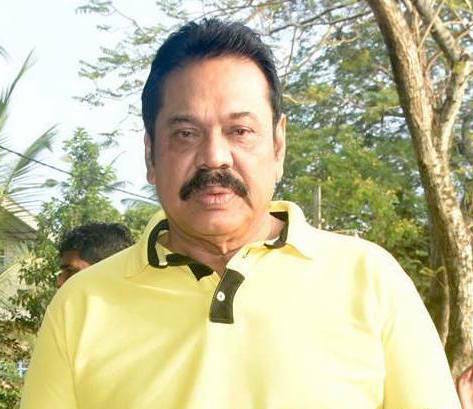 Last week, a land belonging to Major Neville Wanniarachchi, chief bodyguard of Rajapaksa was dug up after the CID received a tip off that gold and firearms belonging to Rajapaksa were buried in the land. Further, according to the CID, Major Wanniarachchi is reported to have acquired several plots of land belonging to the State, during the Rajapaksa era.